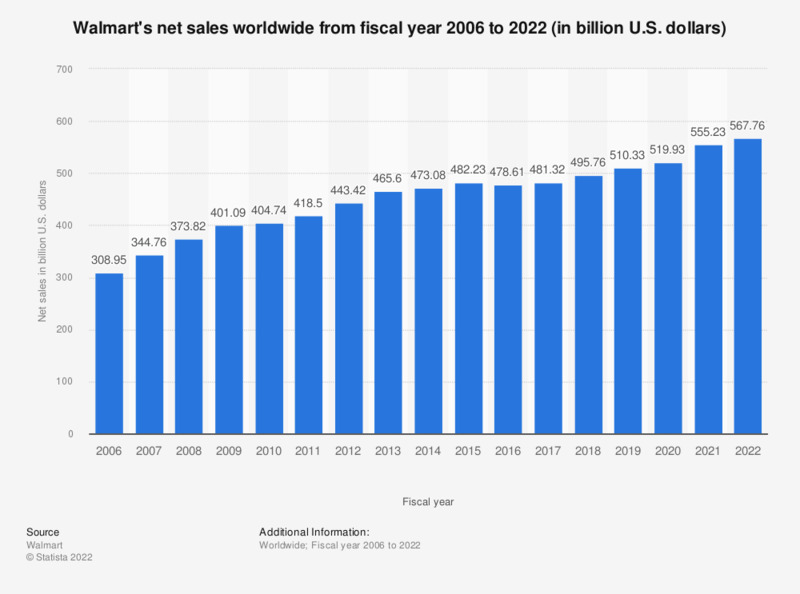 If Amazon keeps growing at the same rate as the company does right now then the online giant from Seattle will have caught up with Walmart by 2025, at the latest. How much last year’s net sales decline has frightened Walmart has been become quite visible over the last months. 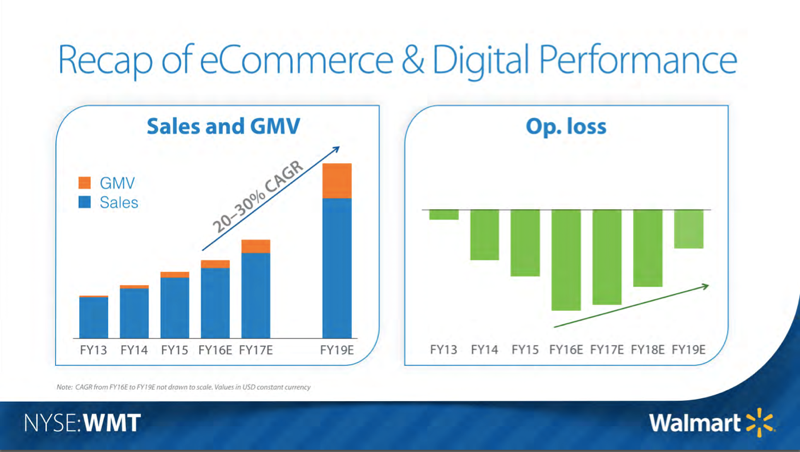 As the new e-commerce company in town, Walmart management presented this time without ties. Not anymore with Walmart was Neil Ashe, who used to be president and CEO of global e-commerce and technology at Walmart (his page is still up here). Ashe presented last year and just had gotten technology added to his responsibilities this January. 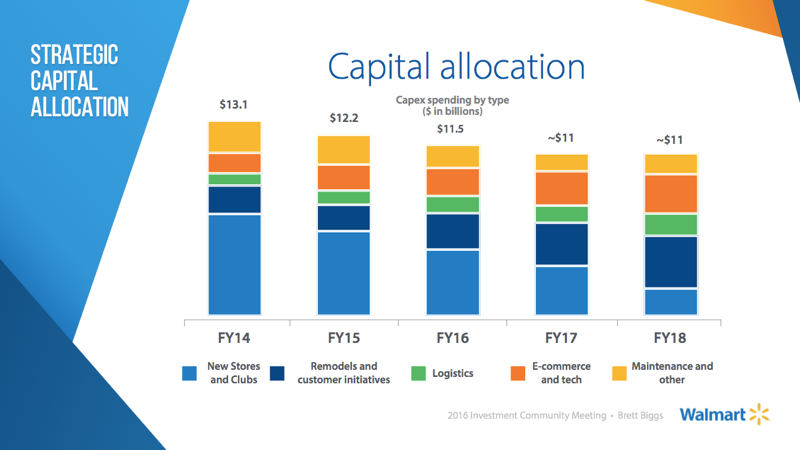 Walmart CEO Doug McMillon emphasized at the event once more that Marc Lore is under his personal protection and that Lore’s task is to build out the e-commerce business independently from Walmart’s existing structures and processes. We will see wether this will succeed. 55% of U.S. Online Shoppers Start in Jeff’s Kingdom – Who Is Challenging Amazon?